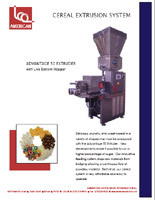 The most versatile extruder in the world. 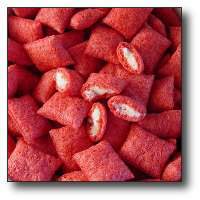 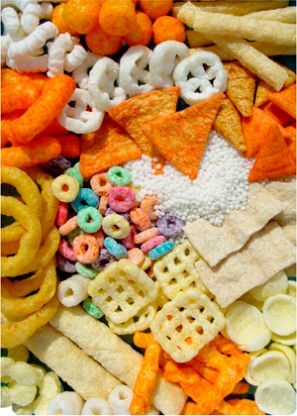 This extruder makes a wide variety of standard expanded shapes as well as cream filled snacks, fabricated tortilla chips and cereals with additional equipment and/or die changes. 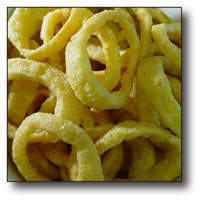 Largest capacity in the world - 880 lbs/hr | 400 kg/hr (Corn Curl Shape). 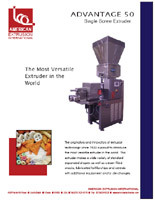 The most versatile extruder in the world. 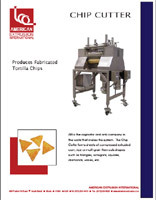 This extruder makes a wide variety of standard expanded shapes as well as cream filled snacks, fabricated tortilla chips and cereals with additional equipment and/or die changes. 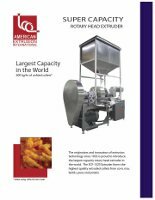 Produces 440 lbs | 200 kg of crunchy collets per hour. 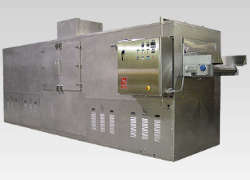 This extruder forms the highest quality extruded collets from corn, rice, lentils peas and potato. 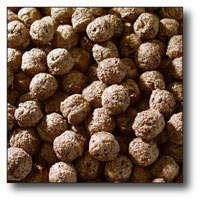 Produces 1300 lbs | 600 kg of crunchy collets per hour. 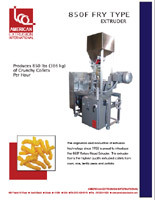 This extruder forms the highest quality extruded collets from corn, rice, lentils peas and potato. 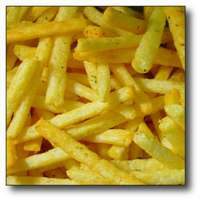 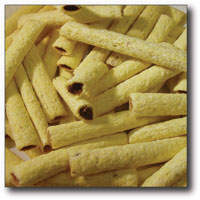 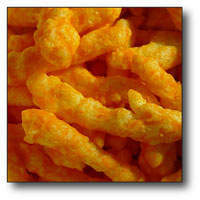 High velocity blowers to reduce moisture in either bake or fry type extruded products below 1%. 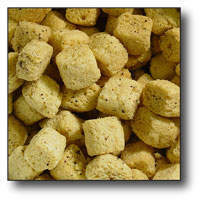 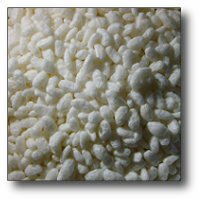 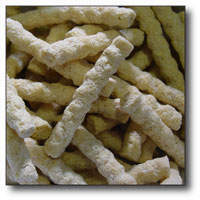 Delicious, crunchy and sweet cereal in a variety of shapes may now be produced with the Advantage 50 and 100 Extruders. 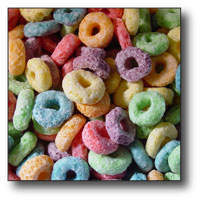 New developments make it possible to run a higher percentage of sugar. 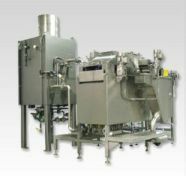 Our innovative feeding system stops raw materials from bridging allowing a continuous flow of powdery material. 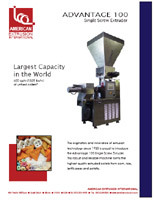 Best of all, our cereal system is very affordable and easy to operate. 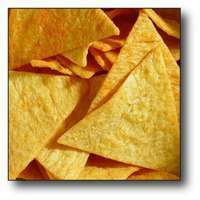 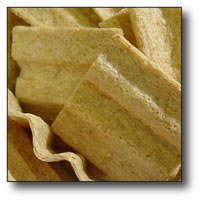 Our innovative Chip Cutter produces fabricated tortilla chips. 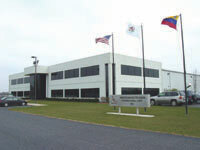 AEI is the originator of this system. 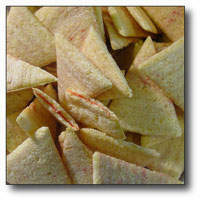 The Chip Cutter forms sheets of compressed extruded corn, rice or multi-grain then cuts shapes such as triangles, octagons, squares, diamonds, waves, etc. 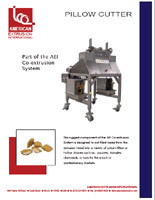 This rugged component of the AEI Co-extrusion System is designed to cut filled tubes coming from the extrusion head into a variety of cream filled or hollow shapes such as; squares, triangles, diamonds, or bars for the snack or confectionery markets. 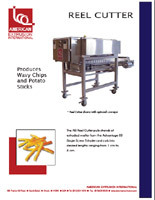 Produces wavy chips and potato sticks. 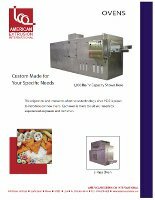 The AEI Reel Cutter pulls strands of extruded matter from the Advantage 50 Single Screw Extruder and cuts into desired lengths ranging from 1 cm to 8 cm. 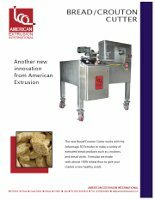 AEI's Bread/Crouton Cutter works with the Advantage 50 extruder to make a variety of extruded bread products, including croutons, bread sticks, flat breads, and more. 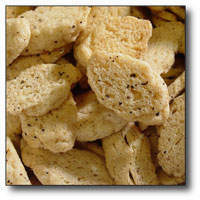 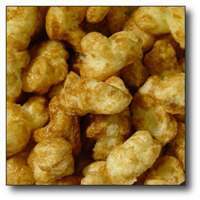 Formulas are made with wheat flour to give your market a new healthy snack.